Large basements are rare in the UK, but with self build land at a premium there is an increase in the number being added or included within self-build plans. American architects and designers are far more used to working with them. 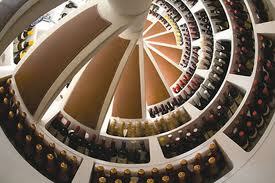 www.spiralcellars.co.uk can excavate part of your kitchen floor to provide a spiral wine vault. 1 A quick visit to www.planningportal.gov.uk will reveal a raft of measures and guidelines that will have to be adhered to before applications are passed. If you visit the section dealing with basements, the opening sentence reads; “The planning regime covering the creation of living space in basements is evolving and under review.” The reason for this is because basements that were once servants’ quarters, often became dank and forgotten areas where junk was stored, but with land costs increasing and building space decreasing, it is hardly surprising that people are turning to their basements to maximise the potential of their property. 2 It is a little more difficult when a basement does not exist, and you wish to excavate a new basement area. The challenge is to maintain the external aspects of the existing property, but you may want to add light and an additional entrance so alterations will be subject to planning. Building Regulations may consider the need for underpinning and escape routes. Although this may be an expensive way of adding a basement, there are areas, most notably in the west of London where property prices are the most expensive per square metre in the country, that it wouldn’t take too much knocking through to uncover a subterranean village! There are indeed houses with up to four stories of cinema rooms, swimming pools, bowling alleys and ballrooms underground. Hence, at least part of the reason why the planning policies are under review. 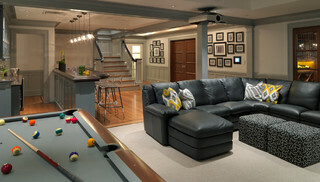 3 The benefits of basement living or addition are numerous. First and foremost it is usually fairly difficult for the planning department to refuse such a project without good reason. If included within some build projects they can provide immense value in relation to cost, especially if an awkward site will require additional excavation anyway, such as a sloping plot, or a small plot in the heart of a city. The additional space can be used for a wide range of activities and entertainment. They are great for large families, visitors, and social activities. They can be cleverly separated from the main house to create additional accommodation; perhaps a Granny Annexe or teenagers’ rooms. 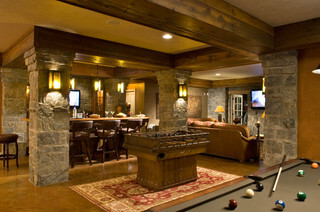 Basements will provide improved energy efficiency simply because of the fact that the walls are not exposed. 4 There are of courses areas of concern. When relying entirely upon tanked protection in high water table areas there are clear issues to guard against. The Waterproofing Design Guide, which is available from the Basement Development Group, should be considered required reading. Repair costs can clearly be very expensive. 1 An off-shoot of basements would be a relatively new phenomena; Mini Cellars. These are usually very small basements that were once used for storage, or even newly excavated shafts or areas. Of course they can still be used for storage, but they are often used as small gym rooms or larders. 2 Building Regulations may require approval, but in just a week you could have a hole dug and a spiral wine cellar completely fitted.